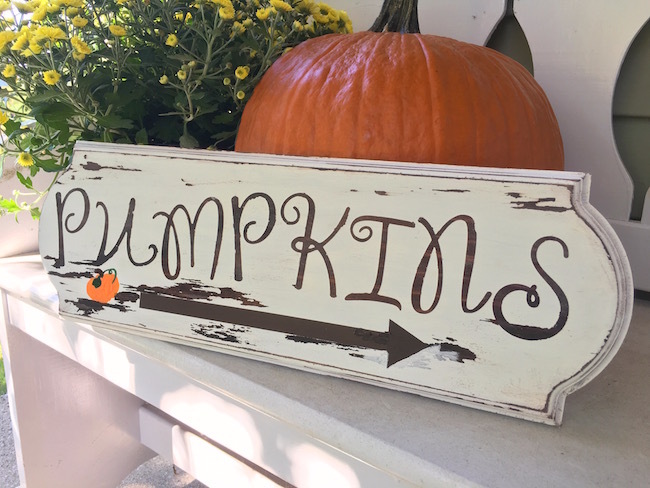 With Halloween just a few weeks away, I thought it fitting to do a fun DIY Wooden Pumpkins Sign Craft! I like doing crafts even though I’m not talented at all. 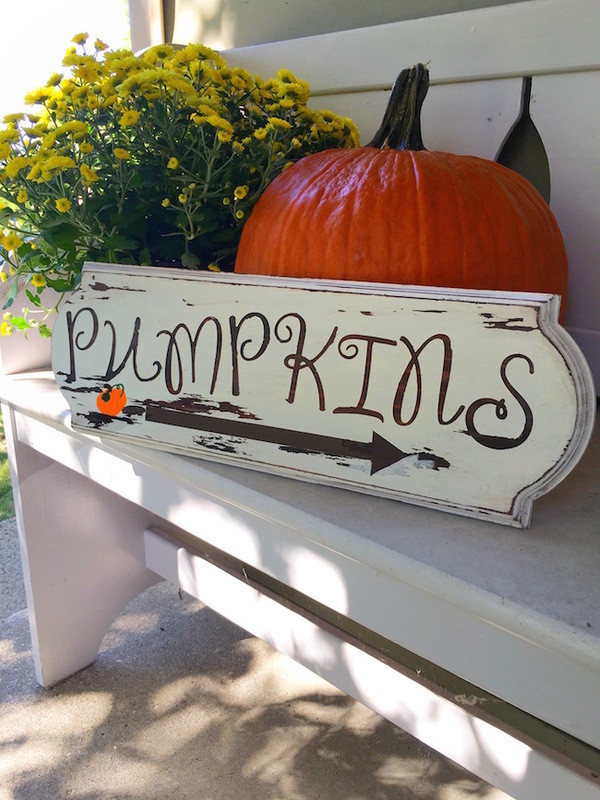 The DIY Wooden Pumpkin Signs Craft is pretty easy. If I can do it…anyone can. 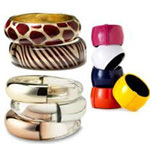 You can make it any color you like if you aren’t a fan of light colors. I chose the light color because it’s an earth tone and goes well with pumpkins and ghosts and goblins. You can also choose different style letters if you have a certain kind that you prefer. 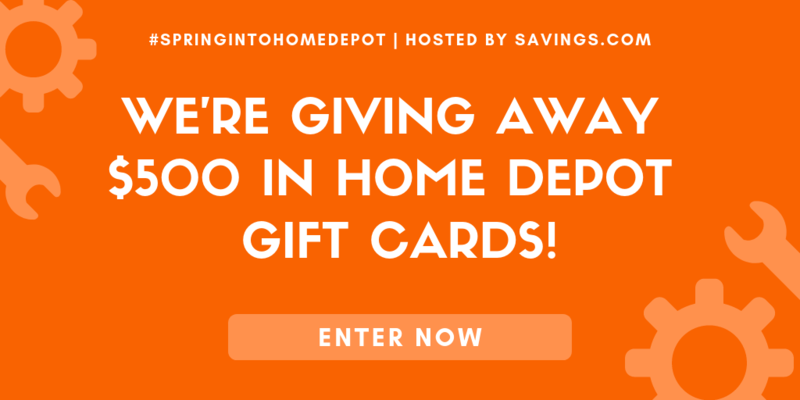 Let’s get started and you’ll see how easy it is. 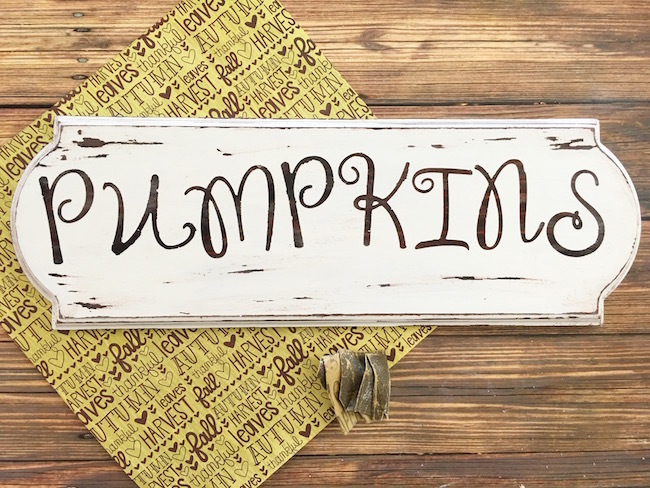 Vinyl letters by The Paper Studio (hobby lobby). 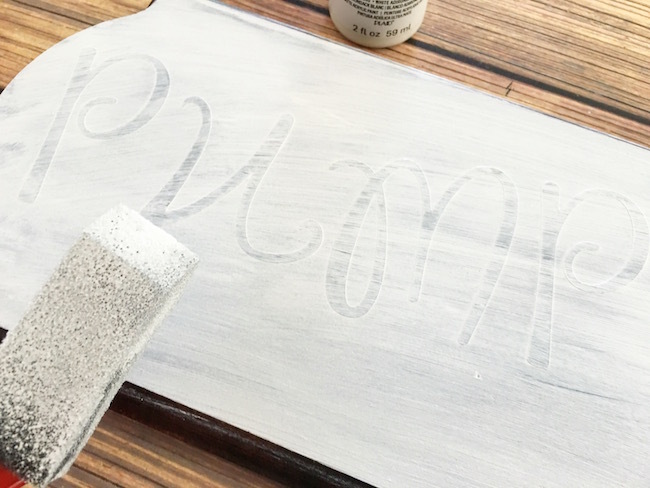 White and brown chalk paint. Orange and green craft paint. 1. Lay down and old newspaper on your table before you begin. 2. 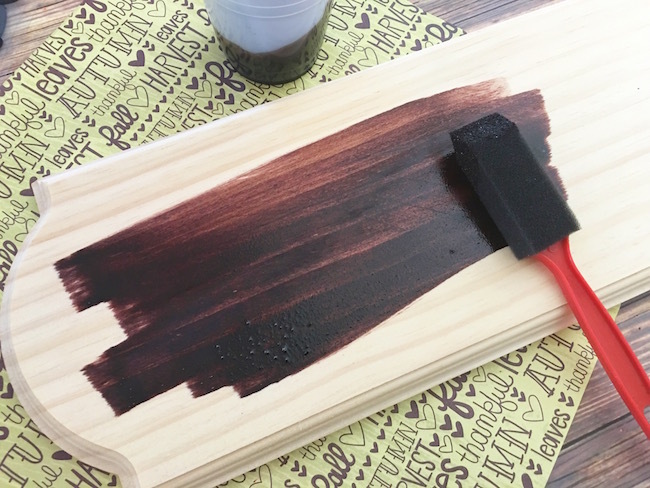 Well ventilated area or outside, stain your entire wood board with your dark stain and foam paintbrush, and let dry. 3. 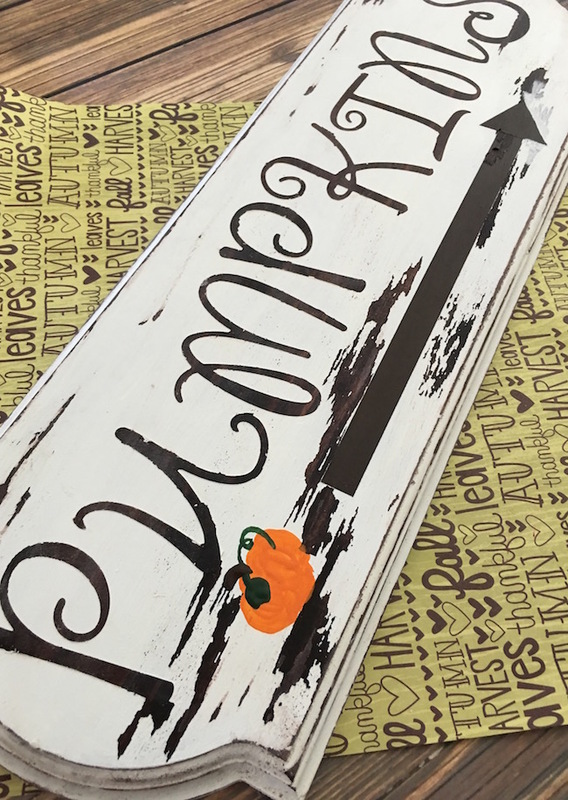 Place your vinyl stickers on to your wood board, making sure they are centered, and press them down firmly. 4. 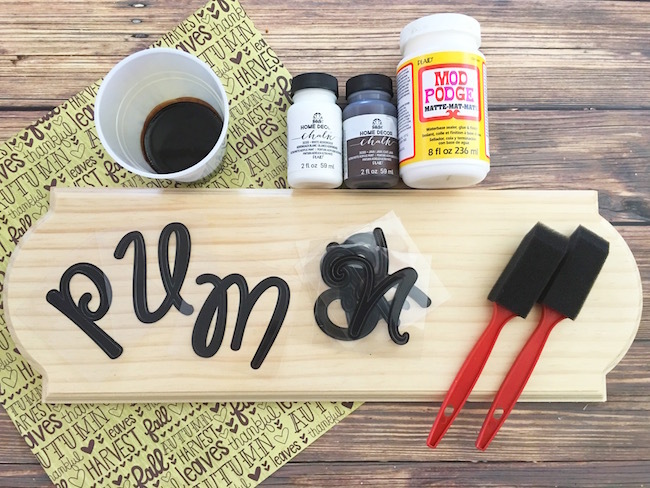 Paint a coat of your clear mod podge over your letters and let dry (this will seal the edges and prevent any paint bleeding through). 5. 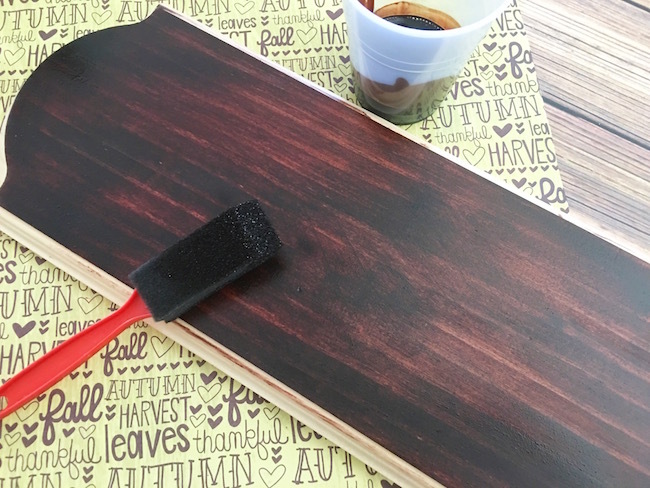 Now paint a couple coats of white chalk paint over your board, including the sides, and let dry. 6. Carefully peel your vinyl stickers off your board. 7. Use your painters tape to tape an arrow shape towards the bottom of your board. 8. 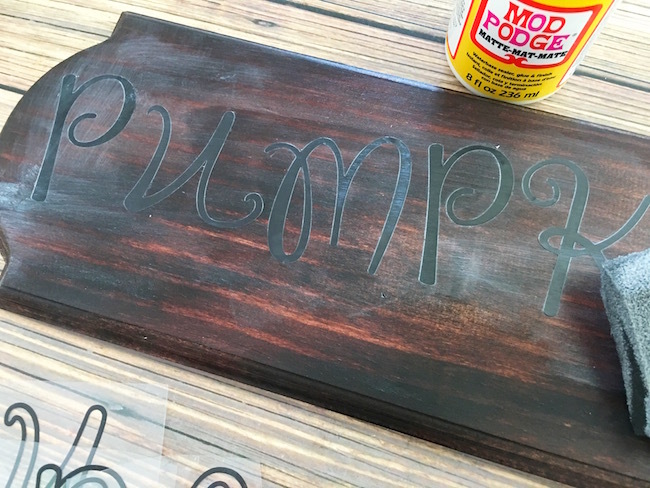 Seal the edges again with a coat of your mod podge and let dry. 9. Now paint the arrow a couple coats of brown and let dry. 10. 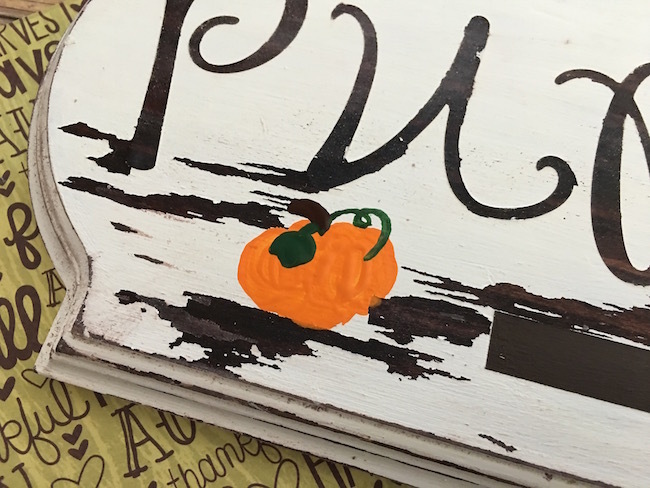 Now use your smaller paint brush to paint a small pumpkin in the bottom left corner of your board with your orange, brown, and green paint and let dry. And you are done! See that wasn’t so bad! Easy Peasy! 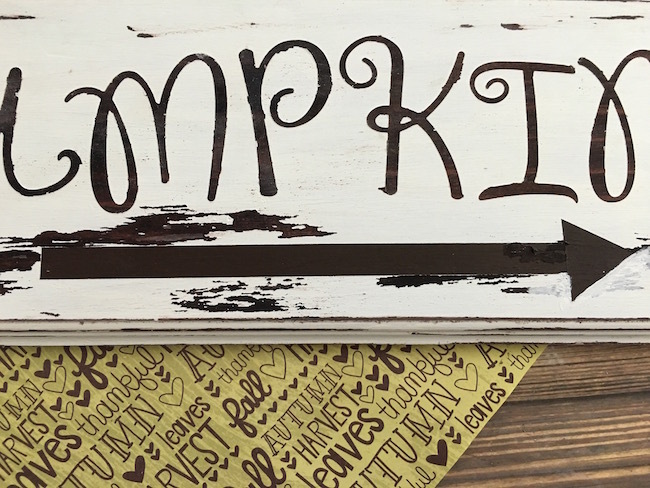 Where will you display your your DIY Wooden Pumpkins Sign Craft? Be sure to come back and let me know if you make one and the colors you chose.